“Which homes for sale near Pico Canyon Elementary School, Stevenson Ranch, CA would mean my children could attend this high scoring school?” Please scroll down for school information and Pico Canyon elementary School website. See all Santa Clarita Schools. This is one of the most important of many questions parents ask when beginning their search for homes for sale near Pico Canyon Elementary School in Stevenson Ranch, CA. It is both disappointing, and a waste of precious time if you find homes for sale near Pico Canyon Elementary School that you love, and believe that your child can attend, only to find out it is not within the schools attendance boundaries. Look without wasting your time. All homes for sale near Pico Canyon Elementary School. 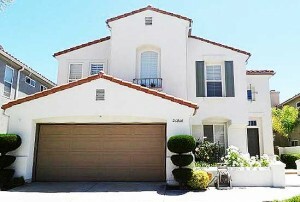 Page is constantly updated and includes homes in areas Stevenson Ranch CA. If you love this community as the place to find your new home, homes for sale near Rancho Pico Junior High School include lovely semi custom homes in gated and non gated neighborhoods, large executive single family homes, other wonderful safe neighborhoods of single family residences, town homes and condos. As with the neighborhoods in Valencia CA, the homes for sale you will find in this community will impress you with their spectacular views over the city of Santa Clarita Ca. There are good reasons to look for homes for sale near Pico Canyon Elementary School. See school website. The goal of the Pico Canyon School Foundation is to enhance and enrich our students’ educational opportunities by providing the tools and resources needed for our students to excel to their full potential. Through a partnership of family, community, and educators, these contributions will create an environment of excellence for our school enabling our students to creatively learn, experience, and grow. As part of our character education, we are using the six pillars of character from the “Character Counts” program. For the months of September and October we are focusing on the trait of fairness. We will have weekly phrases and quotes discussed by the teachers and students regarding fairness. A Person of Character . . .
Is a good person, someone to look up to and admire. Sets a good example for everyone. Knows the difference between right and wrong and always tries to do what is right. Makes the world a better place. Lives according to the “Six Pillars of Character”: trustworthiness, respect, responsibility, fairness, caring and citizenship. Pico Canyon School serves a diverse neighborhood with a student population comprised of 37% Caucasian, 13% Asian, 12% Hispanic, 4% Filipino, 3% African American and 33% other.